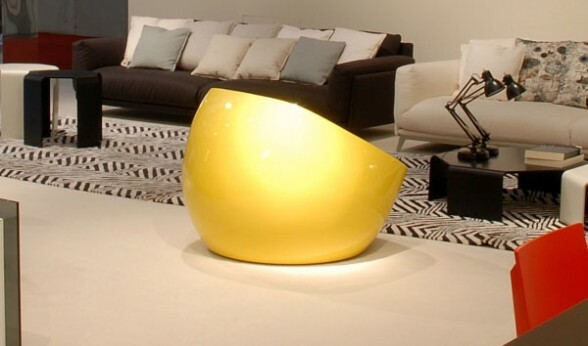 The Ball Chair was created by Carlo Colombo for the furniture company Arflex. The circular shape of this chair is absolutely fantastic. The lines are clean, and the reflective nature of the exterior, adds a bit of modern luxury to the design. 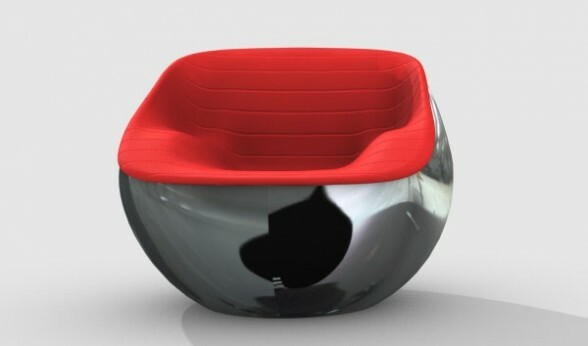 The inside of the ball chair is just as fantastic, with its pliant material and barely there horizontal lines. 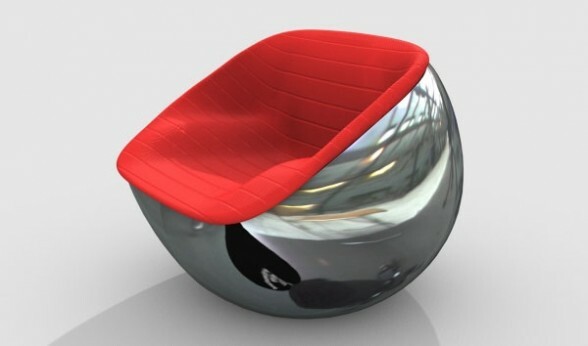 The ball chair works well indoors and outdoors. We could just see the red and dark gray one in a gorgeous modern home. 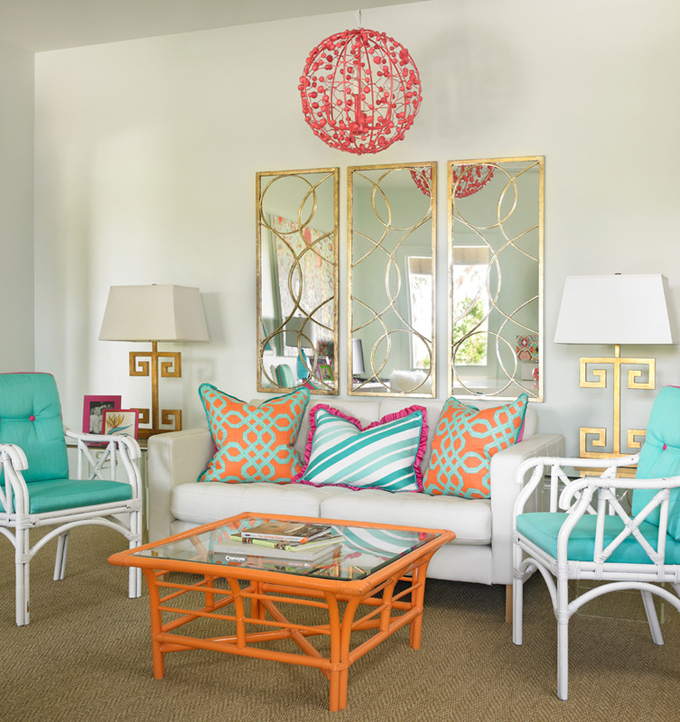 It would work well in a living room or family room, contributing a burst of color and interest to the space. It could also work in an office, adding a dose of liveliness and fun to the workspace. 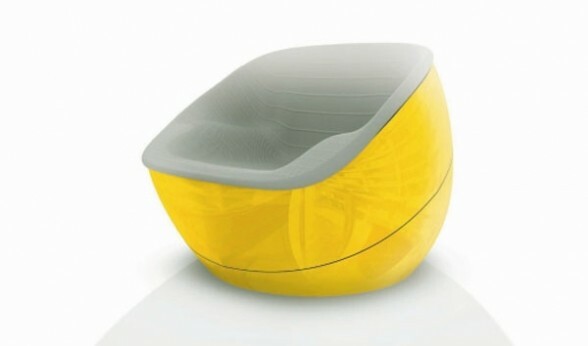 The yellow ball chair is absolutely stunning. The horizontal lines continue in the inside of this boldly colored chair, but the material is light gray. 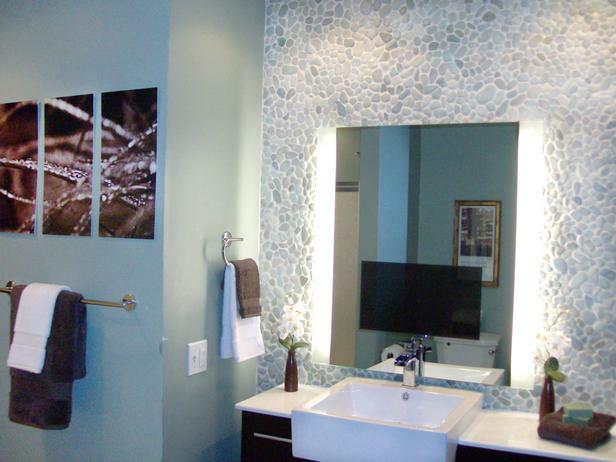 This one would be fantastic on the inside of a home as well, but we like it more for the outdoors. It would be amazing on a terrace, or on a patio, especially if it’s surrounding a pool. Imagine a stunning white modern home, with these chairs, next to a pool, nestled under a cantilever. The bright yellow would connect to the radiance of the sun, fashioning a luminous and cheery outdoor space. Also, this chair is not limited to modern design, even though it is a modern chair. It would complete an eclectic style beautifully. If you have a generous amount of warm tones in your home, this chair could provide a wonderful contrast and add variety to your space. Luminous and fun are the perfect words to describe this chair. It brings character and charm to indoor and/or outdoor design, adding personality and vitality.